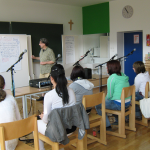 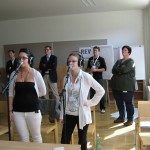 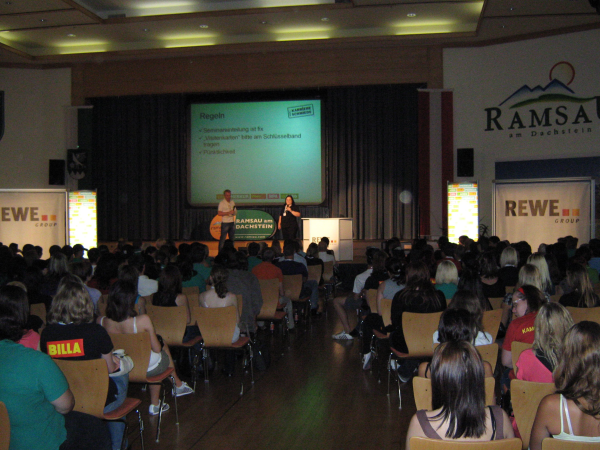 Over 200 REWE trainees from BILLA, Penny, BIPA, ADEG and Merkur came together in Ramsau, Lower Austria, to concern themselves with themselves in general and REWE in particular. 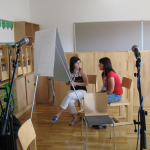 The course program offered many ways to do this. 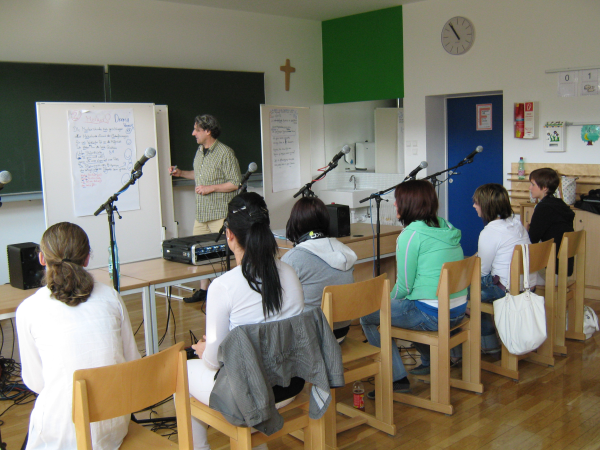 Outdoor activities, filming, radio journalism, service seminars, personality training, graffiti etc – and Mario Bottazzi’s REWE Song Group. 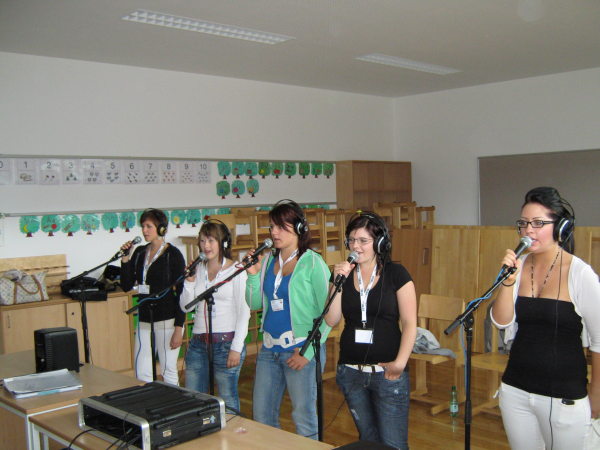 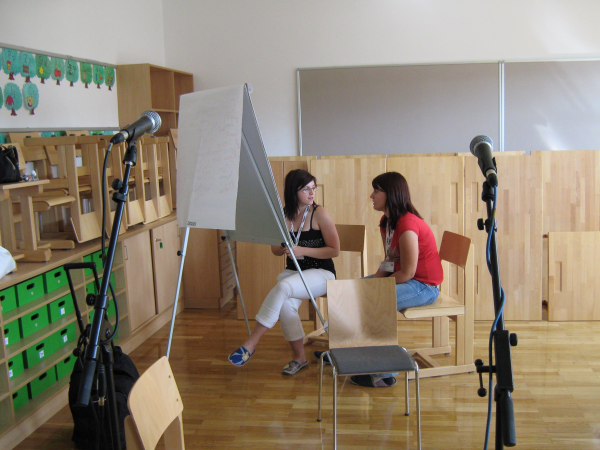 Six young ladies wrote and sang to a playback prepared beforehand in the TigerSoundStudio. 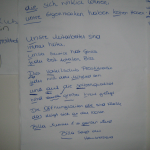 All the REWE jingles and claims had been digitally worked over and merged into one song with one refrain by Mario Bottazzi. 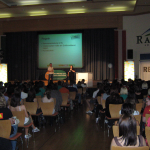 This concept had impressed REWE’s human resources management because it was smack on their objective for the REWE trainees to see themselves and their company as a part of REWE. 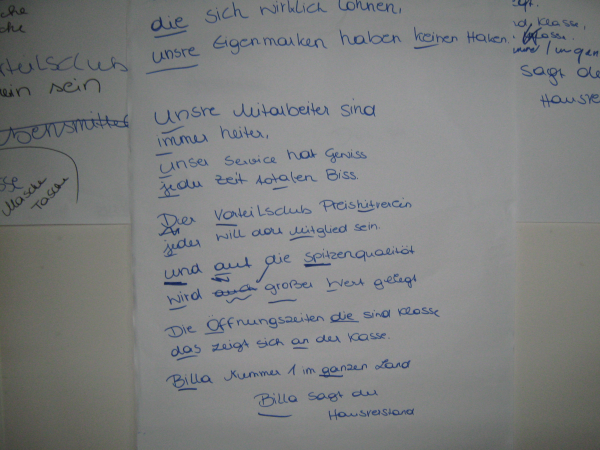 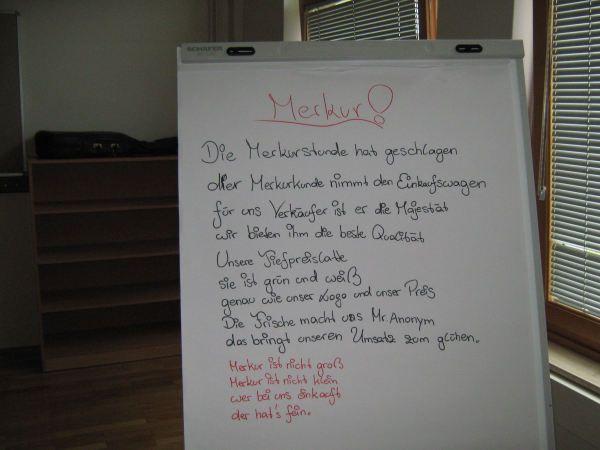 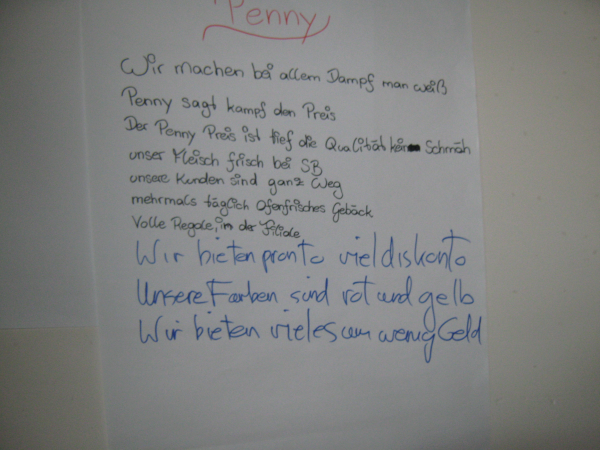 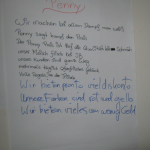 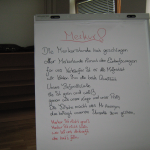 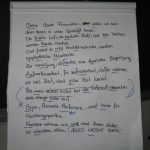 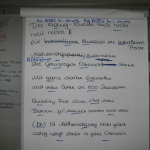 The REWE Girls’ task was to write and sing/rap the verses about REWE and their individual companies. 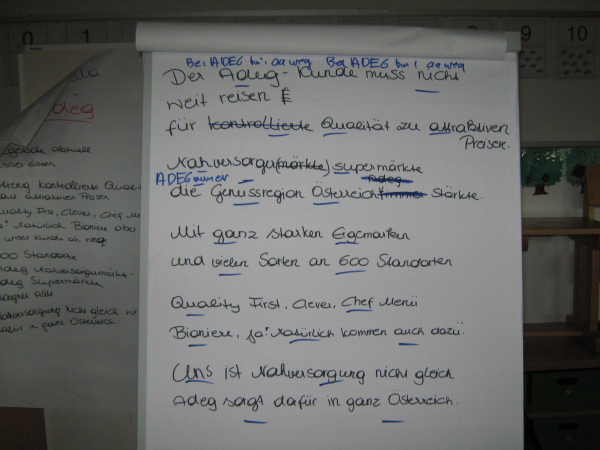 The overall motto: “We are REWE Group”. 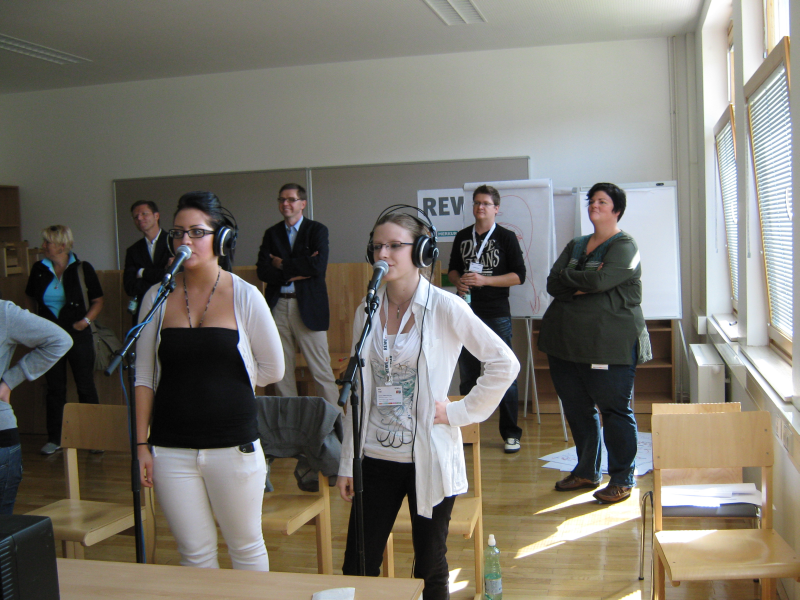 The song was recorded on location in the mobile TigerSoundStudio and played at the closing event and was very well received. 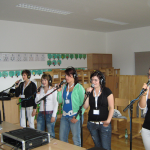 So well, in fact, that REWE RADIO MAX supermarket program has been featuring the song since then and REWE even had a ringtone post-produced in the TigerSoundStudio!